How powerful, seductive, or mythical would you like your life to be? The ultimate goal of invocation is to infuse your life with more excitement, purpose, and passion. 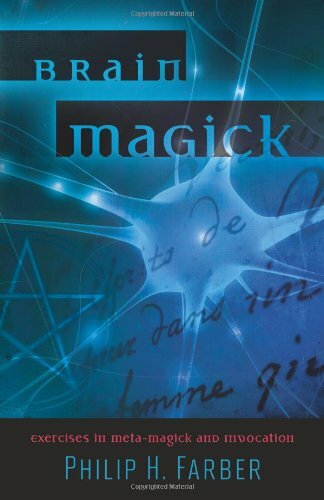 Recent discoveries in neuroscience suggest that the magical practices of evocation and invocation are based in natural brain functions–this book is the first to present a theory of magick based on the new research. Brain Magick is packed full of exercises (more than 70) that illustrate the principles of neuroscience and magick, and has everything you need to quickly develop skill in the art of invocation. This easily practiced form of ritual technology is appropriate for complete novices and magical adepts alike. If you are familiar with any kind of magick–Wiccan, Thelemic, Golden Dawn, Goetic, Chaos, or Hermetic–this book will provide opportunities to consider your practice in a new light, and take your magical experiences to a new level. Even if you’ve never practiced any magick before, you’ll be able to start immediately.